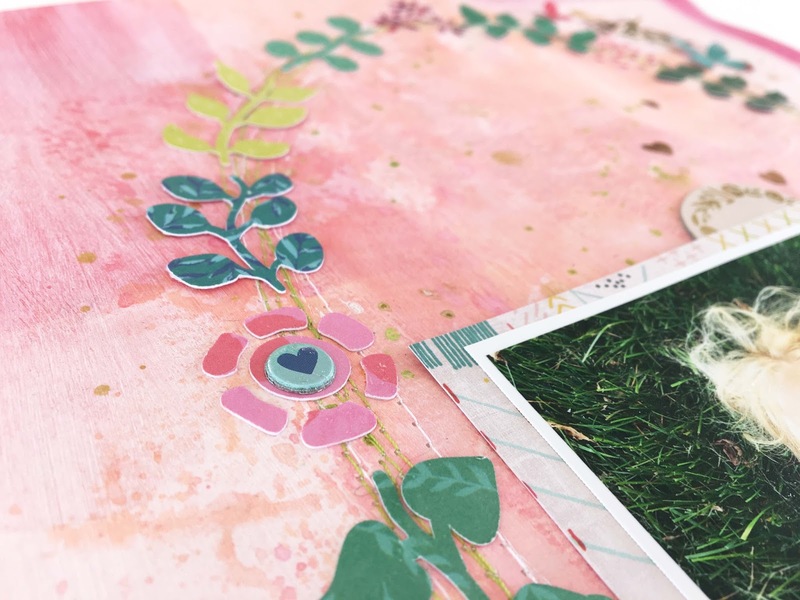 Audrey Yeager has a new layout to share today using a beautiful combination of collections and a cut file! I love the colors in the original image of Paige's Wreath Garland cut file and I wanted to mimic that on my layout. 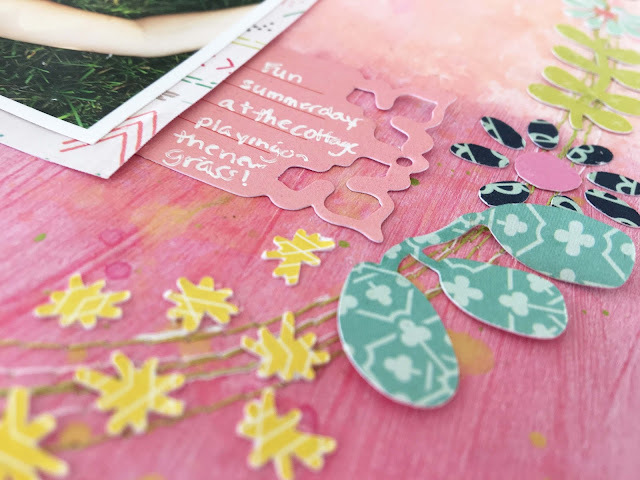 I pulled lots of scraps from several collections including Turn the Page, Fancy Free, and Pick-Me-Up. 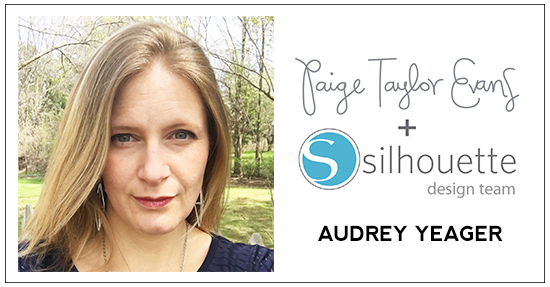 I began by separating all the bits of the cut file right in Silhouette Studio and arranged the images in a 2x2" grid, cutting papers to match. Then I cut them with my machine and laid them out on my background paper. 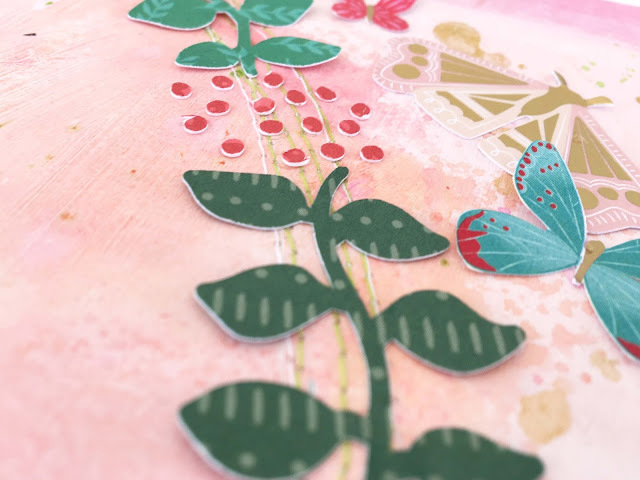 The background patterned paper is from the Fancy Free collection, and I added some gesso and inks to adjust the colors a bit in the oval shape to fit the design of the cut file. Once dry, I stitched with some green and white thread and glued down the leaves and flowers. 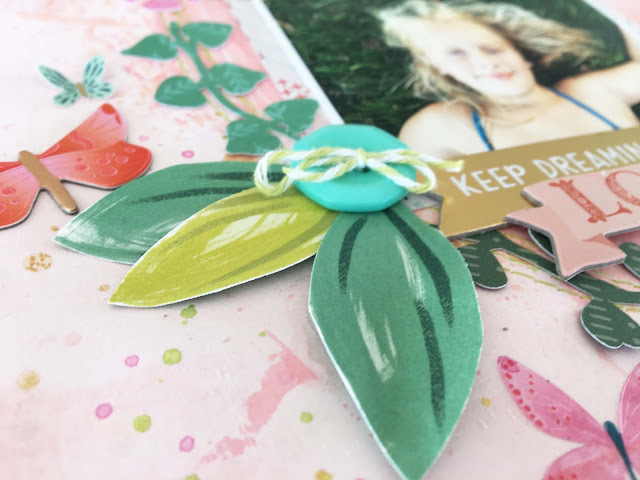 I love the design so much, I wanted to just keep it simple, so I added a few chipboard phrases and a few more leaves. The butterflies came from chipboard, rub-ons, and ephemera packs. 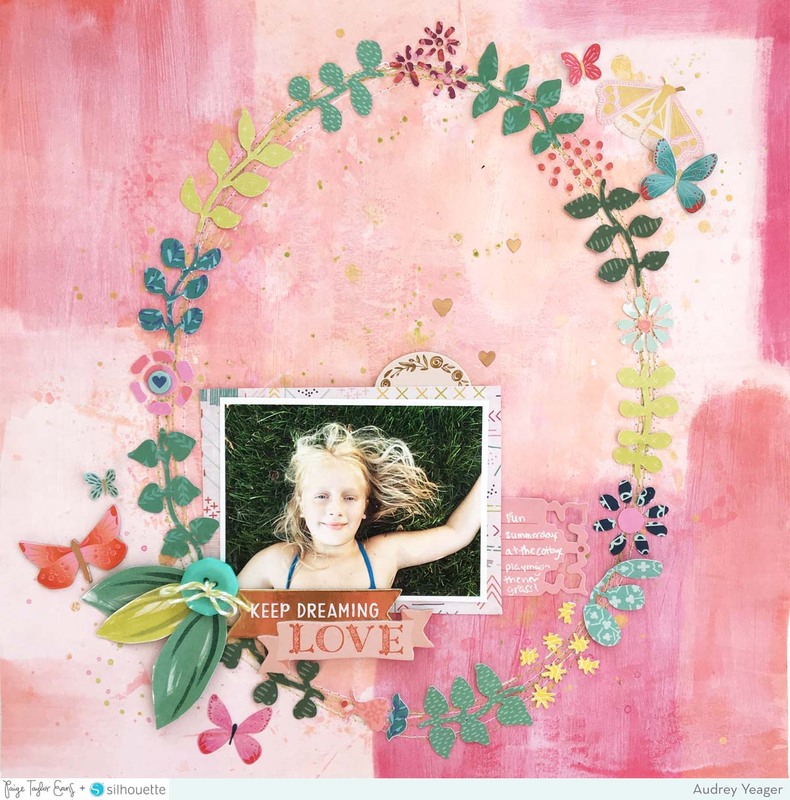 Sometimes all you need is a pretty wreath to create a beautiful and stunning page! This is gorgeous! LOVING those leaves!!!!! !